Carrots are naturally so sweet and they make such a great side dish to any meal. This dish is so quick and all you have to do is, season and roast. To add a little more texture I serve with a smear of plain yogurt! 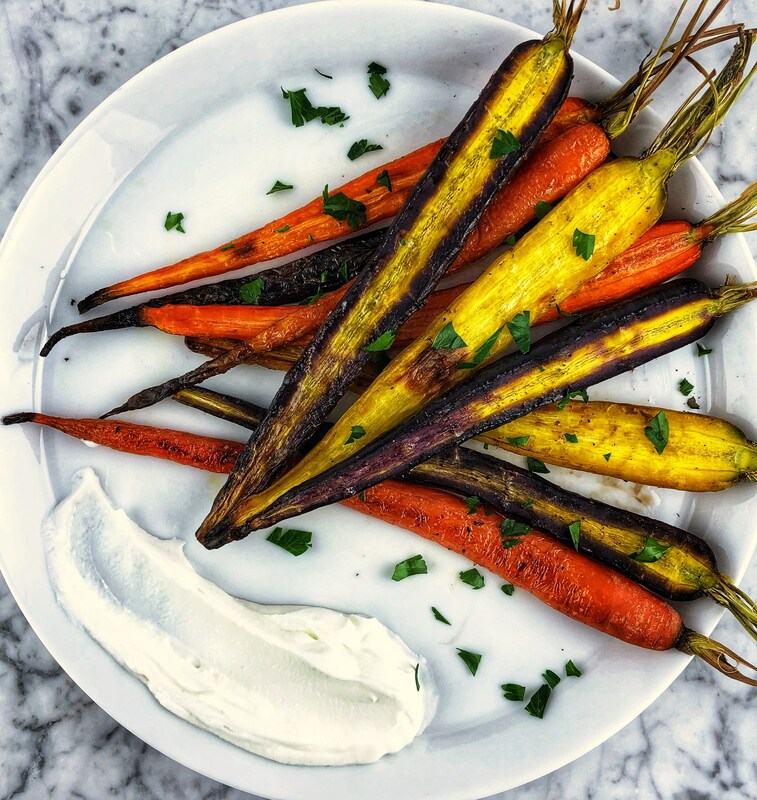 The yogurt adds a rich creamy taste to the roasted carrots..